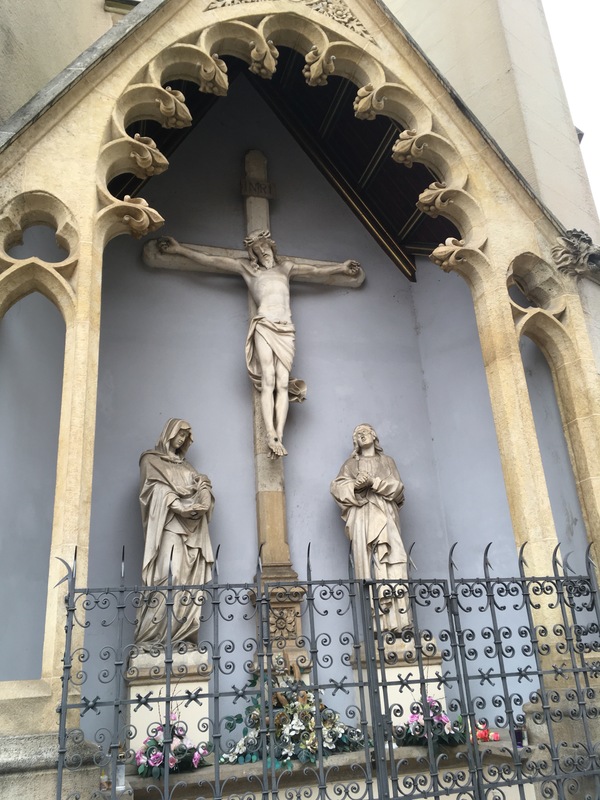 As I walked up the street in Zagreb on an errand recently, I saw this beautiful monument to the crucifiction of Jesus. It was on the street side of a Roman Catholic Church. On my way back from my errand an elderly man stood in front of the statue praying. At the time of the Reformation there was a dominant teaching that salvation comes through the church and that you could earn merit with God or even buy (from the church) the release from punishment for others. The recaptured Biblical truth that the Reformation emphasized was that it is through Christ alone that we are saved from the wrath of God. Thanks be to God for the work of the Son!